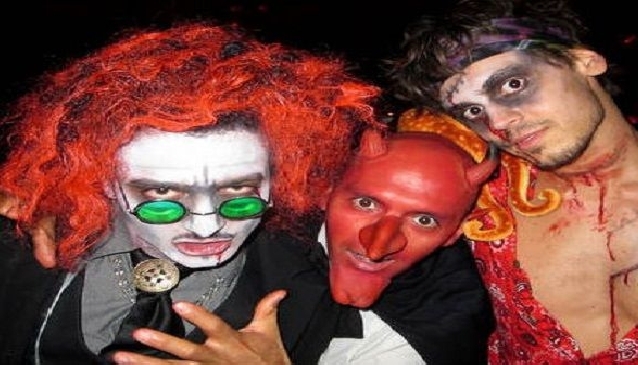 The celebration of Halloween in Ibiza has become more and more popular over the years under the influence of the many eccentric foreigners now living and working on the island. Although many of the residents don´t seem to really need an excuse to wear fancy dress, it is definitely less frowned upon at Halloween, which has become one of the biggest occasions in the Ibiza events calendar. On the night of the living dead one expects to see anything from dead rock stars to corpse brides and witches to devils & other terrifying night time creatures. But, in Ibiza it would seem anything goes! Prepare to be scarily amused by the huge amount of effort that goes into making each and every costume and pleasantly surprised by the fabulous decor and lengths the bars and restaurants go to in order to convert their usually chic establishments into houses of terror! The most renowned Halloween party in Ibiza is without a doubt the one thrown by Bambuddha Grove - a ‘Mediterrasian’ lounge, bar & restaurant. Tables must be reserved weeks in advance and there is a very strict "no costume, no entry" policy, no matter who you are (or think you are!) Be sure to arrive early to avoid the huge crowds of people queuing for entry. Many other fabulous Ibiza businesses have joined in the fun and now throw amazing parties of their own. Aura, on the San Juan Road, even have their own in-house face painters for those who just can´t find the time to create a costume but don´t want to miss out on the fun. Entry is free to this house of horror, the music is amazing and a set menu is available on the night at a very decent price. Guarana in Santa Eulalia is always up for a laugh & both the club and terrace are packed with terrifying locals and the best of the best winter DJs. The well known Pacha club is always on the list, with all sorts of genius costumes of dead rockstars, freaky visual shows of "beautiful monsters" and pumping music. So now you know, if you are going to be visiting Ibiza during the month of October, around the time of Halloween, be sure to use your imagination and bring, buy or throw together any sort of attire that can be called a costume and join in the fun. Remember though that Halloween parties begin as early as the 28th of October so be sure to check with My Guide Ibiza to find out where & when it´s all happening so that we can help you with the perfect itinerary for a great night (or weekend) out!